The polls open today, October 25th, in Madagascar, and some hold hopes that they will close five years of instability. A military-backed coup in 2009 led by Andry Rajoelina ousted then President Marc Ravalomanana. The international community condemned the coup and swiftly instituted sanctions. Ongoing instability and international isolation has since dramatically increased the vulnerability of the island, with some 92% of the population now living below the poverty line. The elections, the first in five years, offer an opportunity to reverse an otherwise downward trend. But there are natural forces to contend with as well. Madagascar is a geography where political, economic, ecological and climatic conditions are deeply intertwined. The coup of 2009 was to some extent related to Pres. Ravalomanana’s controversial plan to turn over half of the island’s arable land to a South Korean company to grow export crops. The ensuing unrest and decline in governance, flight of tourists and international support, has also drastically reduced the island’s food security. This has been compounded by the fact that island is highly vulnerable to natural disasters, including flooding, droughts and cyclones. The climatic future of the island is uncertain, with some models showing increased food production due to technological advances, but also an increase in demand for food imports (the model did not seem to account for governance factors). In August of this year, Mehmet Burk outlined another threat to food security on the island: locusts. A locust plague on a scale not seen since the 1950’s is taking hold in Madagascar. The livelihoods and food security of 13 million residents are at risk, and half of the nation’s pastures and cultivated land are infested. Rice and maize crops losses range from 40 percent in some areas, to a 100 percent in others. The Food and Agricultural Organization is warning that the plague could cost hundreds of millions of dollars and last for years if not immediately addressed. 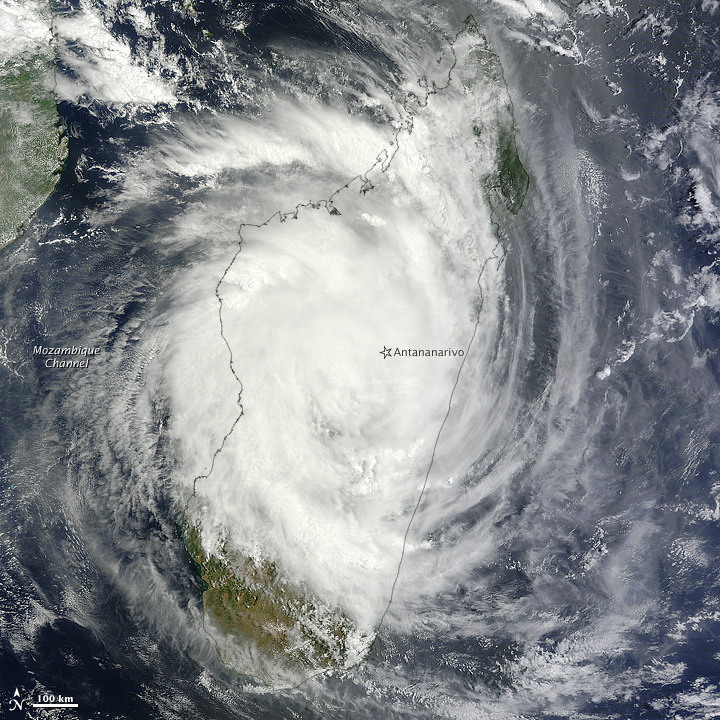 Each year, Madagascar suffers from cyclones at the height of the crop season. Whatever the outcome of the election, you will have cyclones at the beginning of the year. They will be confronting a natural disaster in the next few months. In this difficult context, hope might be one of Madagascar’s most important natural resources. By Caitlin Werrell and Francesco Femia in climate-security, conflict on October 25, 2013 .